Cape Town - South Africa is the 53rd most competitive travel and tourism destination in the world, according to the latest Travel & Tourism Competitiveness Index (TTCI). The index forms part of the Travel & Tourism Competitiveness Report of the World Economic Forum (WEF) and benchmarks the travel and tourism competitiveness of 136 economies. The index found that the four most competitive travel and tourism countries in sub-Sahara Africa (SSA) are South Africa, Mauritius (55th), Kenya (80th) and Namibia (82nd). 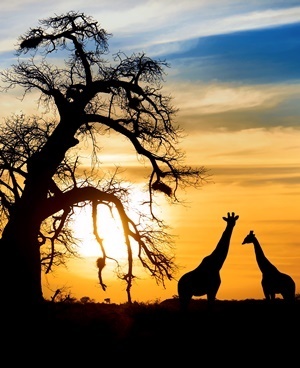 According to the index report, the travel and tourism industry in SSA remains mostly untapped despite sustained economic growth. Air connectivity and travel costs remain challenges as well as visa policies and infrastructure. "While tourism in the region is mainly driven by natural tourism, there is significant room for improvement in protecting, valuing and communicating cultural richness," states the index report. Spain has once again been crowned as the most competitive travel and tourism destination, according to the index. It also took the top spot in the previous index. The 2017 top 10 most competitive countries are Spain; followed by France; Germany; Japan (which gained five places); the UK; the US (losing two places); Australia, Italy, Canada (up one place) and Switzerland (losing four places). Europe and Eurasia once again is the region with the strongest overall travel and tourism competitiveness performance, with six economies in the top 10. According to the report, this region continues to lead the rankings thanks to its cultural richness, excellent tourism service infrastructure, international openness as well as perceived safety. This is despite slightly declining security perceptions in Western and Southern Europe. The Americas is the macro region with the second most improved performance at the aggregate level, with the US (6th), Canada (9th), Mexico (22nd) and Brazil (27th) all ranking in the top 30. The Asia-Pacific region has five of the 15 most improved countries in the index, namely Japan (4th), Korea (19th), India (40th), Vietnam (67th) and Bhutan (78th). The report found that, while East Asia and Australia boasts world class infrastructure and are among the most ICT-ready economies globally, they are also relatively less price competitive than other areas in the region. Conversely, while South-East Asian and South Asian nations are more price-competitive destinations, infrastructure and ICT readiness lags for the most part. As for the Middle East and North Africa, the report found it has improved its travel and tourism competitiveness despite significant headwinds. The United Arab Emirates (29th) is leading the way in this regard. The study found that in the region better ICT infrastructure, lower prices, partial improvements in international openness and some progress in nurturing cultural heritage have created better conditions to develop the travel and tourism sector overall. "Still, natural and cultural resources remain mostly underexploited, international openness is still limited and security perceptions remain the biggest hurdle," concludes the report.